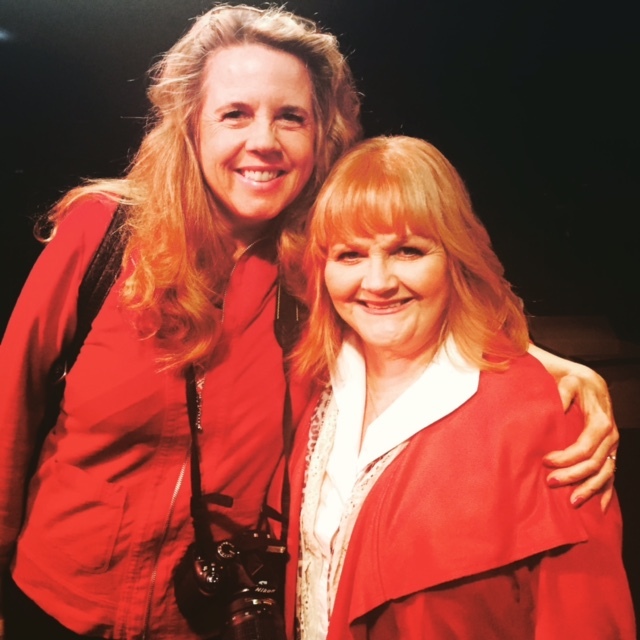 Yesterday when I entered the Shrine Exposition Theatre for a preview of the Screen Actors Guild gala awards ceremony, I noticed the talented actress Lesley Nicol. She plays the adorable, no-nonsense cook whipping up elegant dishes for the aristocratic Crawley family. Mrs. Patmore rules the kitchen staff and has a motherly relationship with her kitchen helper, Daisy. Usually in a frumpy servant outfit on the show, Lesley was a striking “lady in red” with her coiffed strawberry blonde hair. She offered me a friendly and beautiful smile as we were introduced before our interview. She wanted to be a nurse or flight attendant as a little girl, because she liked the uniforms. She was very shy as a little girl. After appearing on stage in a show, she said the experience gave her power and she was hooked. She graduated from the London’s Guildhall School of Drama in the 1970s. Lesley now lives in Los Angeles. She also appeared as Rosie in the West End production of Mamma Mia! Years ago, she was the face of Tetley tea in the United Kingdom. Lesley is a celebrity ambassador for her charity AnimalsAsia. This organization has rescued 500 bears and cares for them in sanctuaries in China and Vietnam. They also educate and work to end the trade in dogs and cats for food in China and Vietnam. AnimalsAsia lobbies to improve the welfare of companion animals, promote humane population management, and prevent the cross-border export of “meat dogs” in Asia. 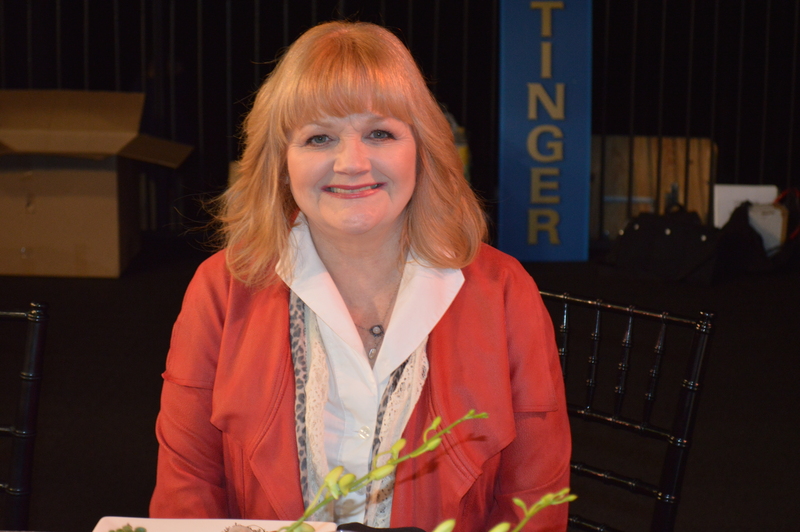 Watch Lesley Nicol in the final Season of Downton Abbey on Sunday evenings on PBS at 9 p.m.
Next Post Coffee 101 at Coffee Con in LA!